In my experience as a trainer, I would often start my clients off doing form correction. The push-up was a big one I found myself correcting time and time again. I love teaching my clients how to do a push-up properly. It’s one of the ultimate full-body movements you can perform to activate your core, get stronger, and feel empowered! What’s even better is that you can literally do push-ups anywhere, so no excuses… right!? You can perform them while traveling, in your office, at the park, or in the middle of your morning run! 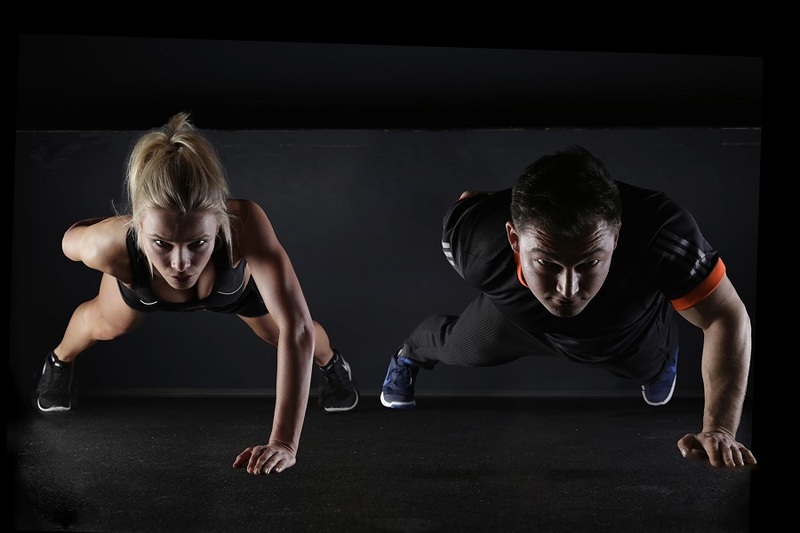 If the idea of doing a push-up sounds too difficult, start by learning how to do a push-up from your knees. 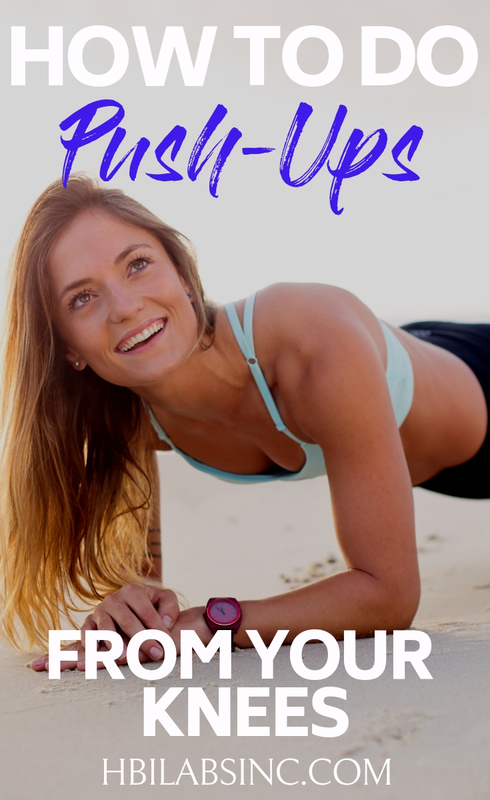 There are many ways to do a push-up. 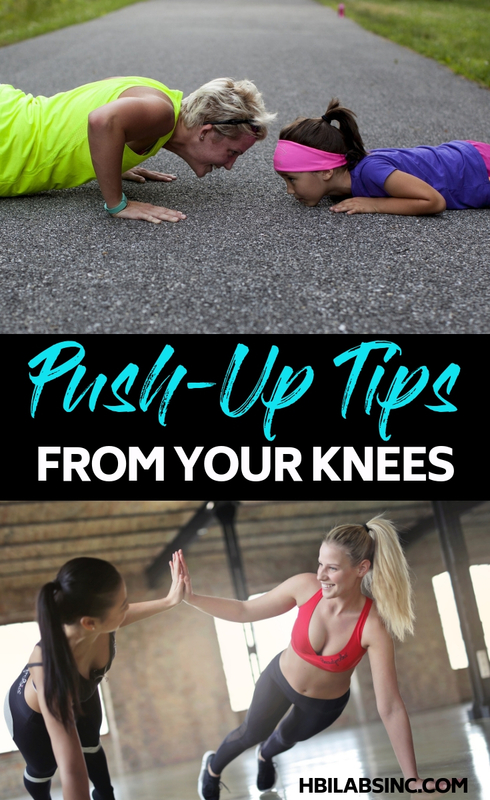 Here, you can learn how to do a push-up from your knees the right way to avoid injury and develop muscle. The push-up is an amazing exercise. It works several muscle groups at once and doesn’t require any special equipment! Unfortunately, most people are doing it wrong. It wasn’t until I learned proper bio-mechanics of movement that I was able to correct my own form. I am excited to spread this useful knowledge to you in an easy-to-digest way. Don’t worry, no science degree is needed here! Let’s get started! Get on your hands and knees, either on a cushioned surface or with a towel folded up under your knees. Make sure your hands are slightly wider than shoulder-width apart and slightly higher than shoulder height. This positioning will allow you to activate your chest muscles better than any other hand position. Your chest is the primary muscle group working in this exercise. The secondary muscle groups that will help you are your biceps, triceps, and your core muscles (the abs, lats, back muscles (traps, erectors) and glutes). Activate your core muscles (abs, back, and glutes). This will lock in your neutral spine allowing for the best stability at your shoulder joints. This minimizes other muscles from activating while protecting your spine. Push sternum up towards your spine. Lengthen spine, by keeping chest up towards the ceiling. Keep shoulders separated and locked into their joints. Note: This is your starting and finishing point of your push-up. Descend into a push-up keeping the above form. Keep it slow and controlled. Keep your core muscles activated while making sure your main movers are your chest (the arms are secondary movers). Allow your shoulders blades to glide across your back towards each other while you keep that chest lifted. Imagine your shoulder blades are also going towards your back pockets. Touch the floor with your chest before rising. No bouncing off the floor. Return to your proper starting position in the locked shoulder position and repeat. If you want to learn exactly what I teach my clients to lose weight and train properly, then subscribe to my eBook coaching program where you learn everything you need to learn about training and nutrition to get you lasting results.